06.24: Rumors? No, it's true. 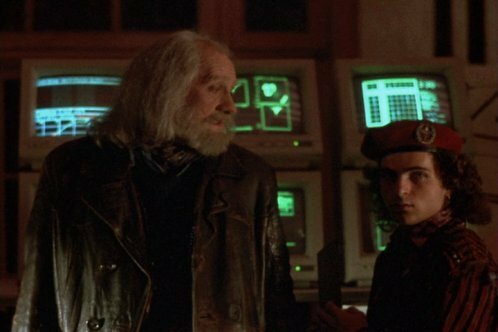 On this day in 1942, Mick Fleetwood, he of the band which carried his name into fame and infamy, he who co-starred (believe it) in the '80s awesometastic Schwarzenegger movie The Running Man, he who makes many a funny face as he bangs furiously upon his drum kit, was born. 06.26: On this day in 1975, Salvatore Bono and Cherilyn Sarkisian LaPiere officially called it quits. Best known as Sonny & Cher, the duo's biggest hit, “I Got You Babe,” turned out to be something of a misnomer in the long run, as they, obviously no longer had each other. Cher went on to solo singing success (think of the killer battleship-shot, what-the-hell-is-she-wearing video for "If I Could Turn Back Time") and acting success (the never-gets-old Moonstruck), and Sonny went on to become a U.S. Representative (R-California). Yes, two very divergent paths, but one common beginning. Amazing how things turn out, isn't it? Hard Rock Indy Takes Time to be Kind to Celebrate Founders Day! The Hard Rock Cafe in Indianapolis celebrated Founders Day by giving back to their community in the spirit of LOVE ALL - SERVE ALL. The Local Ambassador team helped with a range of programs including a blood drive for the American Red Cross, a toy drive for the Salvation Army and helped build a local home with Habitat for Humanity. ALL IS ONE. The Hard Rock Cafe in Honolulu continued their series with AccesSurf, an organization that empowers people with disabilities by providing adaptive surfing instruction and therapeutic educational programs on water recreation and enriches lives by assisting families to access the beach and ocean in a barrier free environment. ALL IS ONE. 06.17: One of the rockinest rockers ever to rock the airwaves rocked his way into the world on this day in 1946. Take a guess. We'll give you a couple of hints. He plays piano. His first name is a homonym for something you might find in a parfait. One of his biggest hits is a girl's name. If you guessed Barry Manilow, you're a winner! Yeah, we kinda threw you off with the whole "rockinest rocker" bit, but Mr. Manilow really is a one-of-a-kind talent. Maybe not rockinest, exactly, but talented nonetheless. Believe it or not, Barry got his start as the piano player for the Divine Miss M, Bette Midler, at Continental Baths, a gay bathhouse in NYC, in the early '70s (which, btw, had an incredible array of musicians grace its stage over the years). From there he took over adult contemporary radio with the #1 "Mandy" (the aforementioned biggest hit and first of thirteen #1s), from his second album, Barry Manilow II. Yeah, Barry gets the dirty end of the stick from a lot listeners and critics, but anyone who got their start alongside The Divine Miss M, who absolutely ruled his particular idiom, without whom Arista would not have existed, who is just a downright cool guy is cool with us. Happy B-Day, Barry. You rock in our book, always. 06.17: Madonna informed the television show 20/20, on this day in 2004, she was changing her name to Esther to “attach (her)self to the energy of a different name.” Sounds reasonable. How'd that work out for ya, Esther? We mean, since that day, all anyone can ever talk about is "Esther" this and "Esther" that and "I saw Esther in concert last night and she was amazing!" Right? Hard Rock was founded on this day in 1971. Why not celebrate by supporting one of our charity partners, all of whom are making a positive impact to make the world a better place for us ALL. So how cool is this? Hard Rock is educational! Believe it. This kind of blew our minds when we first heard about it. Lindsay O., a 6th-grade teacher in California, has been a long-time fan of Hard Rock and Hard Rock pins. He wears a Hard Rock pin to school every day. So, it's only natural that he would incorporate this into his lesson plans and find a way to engage his students on a level that we couldn't even dream of. How'd he do it, you ask? Good question. Read on! Musings On Music History: Happy Birthday To Us! 06.10: On this day in 2004, “The Genius of Soul”, Ray Charles passed away. He was 73. During his amazing life, he propelled R&B into the future, melding gospel with juke-joint lyrics and jazz rhythms, as well as taking pieces of country, rock, and blues along for the ride. Man, what a monumental talent and an amazing voice in the history of contemporary music. You don't even need to see the movie "Ray" to appreciate this man. Just pick up The Genius Hits The Road (from whence "Georgia On My Mind" came) or his masterpiece Modern Sounds in Country and Western Music, and you'll understand the talent in his arrangements, production, playing and voice. Ray Charles is the man, no if, ands, or buts, and we sorely miss him still. However, today we celebrate not his passing but his life. What a life, indeed. 06.14: Hard Rock Cafe officially opened its doors in London on this day in 1971. Happy birthday to us! Some companies have a history that stays firmly in the past. We're fortunate to have a legacy that permeates our present like a classic song, not with nostalgia, but as the reminder of a timeless foundation and simple beginnings. When you consider we have over 175 locations, which include restaurants, hotels, casinos, and live music venues, in 55 countries, it's hard to believe that it all started so innocently: the search for a good burger. Read all about Hard Rock's storied history by clicking here! The Hard Rock Cafe in Barcelona hosted a "Bollywood" event, in support of the Vicente Ferrer Foundation. The Vicente Ferrer Foundation is an NGDO (non-governmental development organization) committed to the process of transforming the poorest and most needy areas of Andhra Pradesh in southeast India. To learn more or donate click here. 06.03: On this day in 1991, Willie Nelson released The IRS Tapes: Who'll Buy My Memories?. The album’s profits went straight to Uncle Sam to help pay off the $16.7 million Nelson owed the IRS in back taxes. Oops! We guess Willie forgot that we pay taxes in this country. We kid him because we love him. The Red-Headed Stranger is the man. He always has, and always will rock. 06.05: On this day in 1959, Robert Zimmerman (aka Bob Dylan) graduated from Hibbing High School in Minnesota. Wait, what? Bob's from Minnesota, you ask? Yep. And he leads a long line of great Minnesota musicians, including '80s standout alt rockers The Replacements, funky rock god Prince, underground hip-hop greats Atmosphere, and indie rockers Low. Believe it, people, Minnesota's a good place for music because there ain't nothing for musicians to do during their long winter except hole up in their domiciles and create. Or drink. Or both. 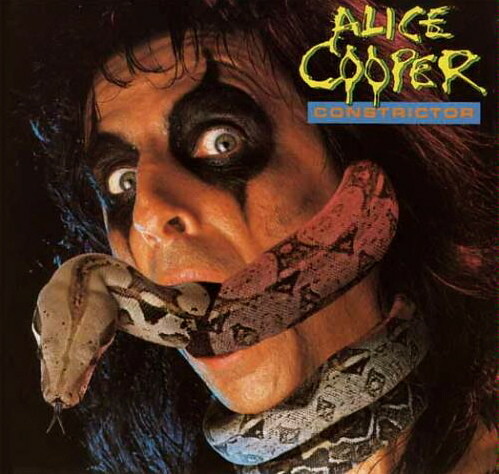 06.05: On this day in 1977, breakfast plans went awry for Alice Cooper’s boa constrictor. The live rat being fed to the snake went from hunted to hunter and attacked, bit and killed Cooper’s beloved stage companion. Cooper later held auditions to replace him. Now, we love Alice and his insanely awesome performance rock, but we also love the fact that the rat turned the tables and somehow managed to kill a creature that should've, by all accounts, swallowed the him whole. Score one for the little guys. Please join Hard Rock International in supporting the American Red Cross to help those affected by the Oklahoma tornadoes by purchasing the limited edition pin below, or donating here. 100% of the net proceeds from these pin sales will benefit the American Red Cross. You can help those affected by disasters, like the Oklahoma tornadoes, by making a donation to American Red Cross Disaster Relief. Your gift will provide shelter, food, emotional support and other assistance to those in need.